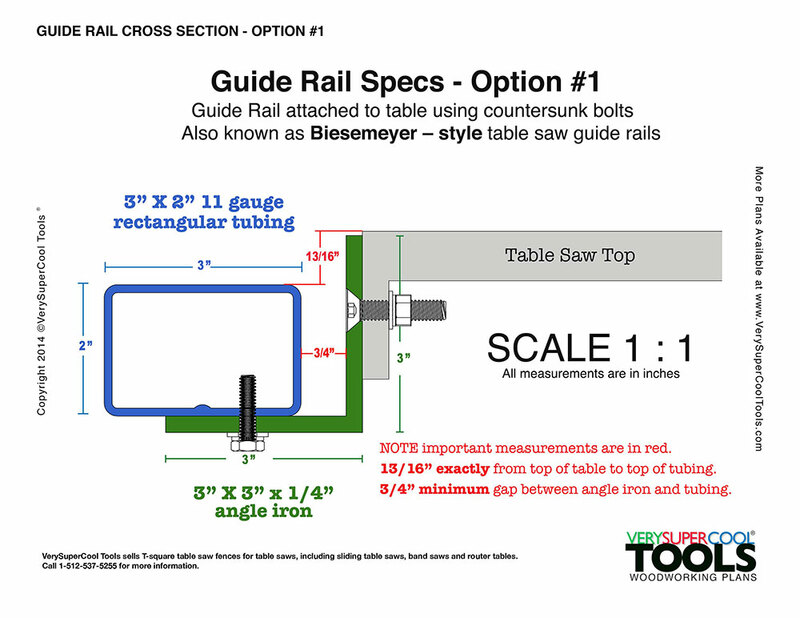 Q: What is the correct guide rail spacing for my Biesemeyer style fence? 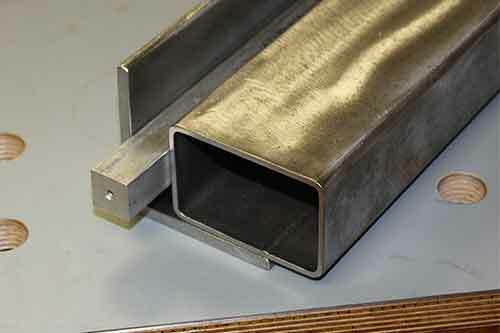 A: You need a minimum of 3/4″ parallel spacing, perfectly even, the entire length of your tubing. 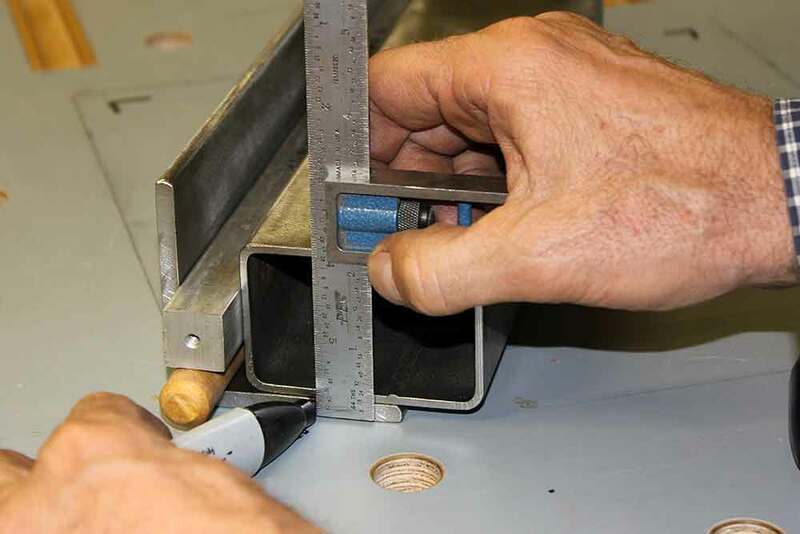 “The key to achieving the correct guide rail spacing for the parallel gap on your Biesemeyer style fence is to make sure you you have a minimum of 3/4″ , perfectly even, the length of the angle iron. I’ve made several guide rails and I like to use a long aluminum bar for my 3/4″ spacer. If you don’t have a 3/4″ bar handy, you can make one out of wood. You’ll also need spacers to use as lifts. These lift spacers will ensure that the radius inside corner of the angle iron doesn’t interfere with this crucial spacing requirement. I used old wooden handles from foam brushes (dowels) for my lifts. Using a small square and a marker to mark the initial bolt line relation between the tubing and the angle iron with parallel spacing in place. You’ll note in the diy guide rail detailed steps blog post (40 steps in all) that there are four different times where you will be using your parallel spacing set-up. STEP 38/39) During final installation to the table. 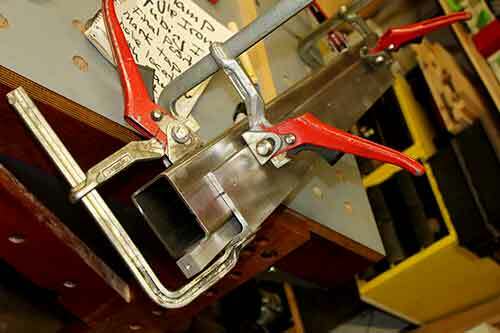 Angle iron and tubing clamped upside down using Bessey LC8’s and parallel spacing set-up. 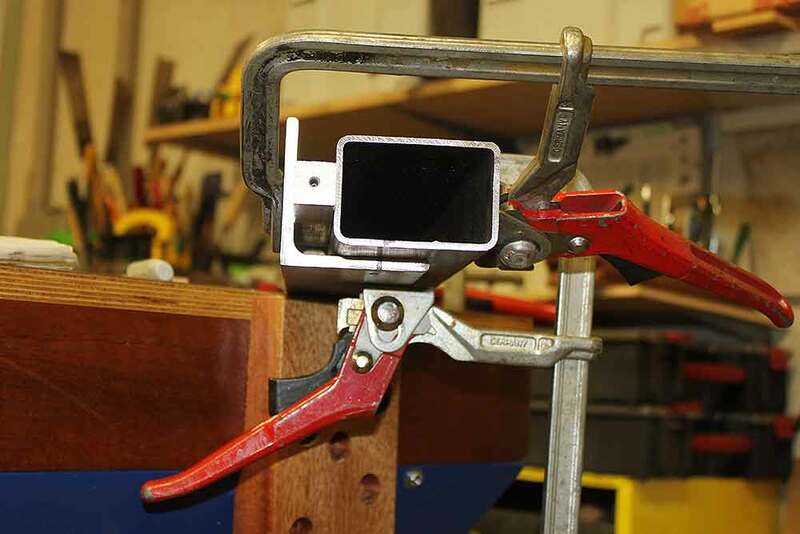 4 clamps (Any clamps will do. 1 bar or a few blocks.